It’s the stuff of nightmares: a counterfeit part makes its way into the military supply chain and is installed on a weapons system. This is discovered only after installation, upon failure of the weapons tests–or worse, in the field after a full weapons failure. How can such a scenario be prevented? Blockchain technology may be part of the solution. By using blockchain to track and trace components within a supply chain, the provenance of this counterfeit part could be established early on and traced all the way back to its manufacturer or supplier. The rise of computing and the Internet brought with it, for the first time in our history, a globally shared network of information. Today, the vast majority of military assets, infrastructure and operations are deeply embedded into this global infrastructure. As we look forward, a new technological paradigm is upon us. With the rise of distributed ledger technologies like blockchain, there’s a new, globally shared network of value and security on the horizon. Since the inception of Satoshi Nakamoto’s bitcoin protocol in 2008, the decentralized ledger space has grown into a budding alternative global asset class with near infinite real-world applications. In order to support machine-to-machine data and value transfer in a trustless environment with billions of connected devices, many decentralized ledger technologies are designing their protocols with a focus on scalability, sustainability and near-zero fees. Projects like IOTA, Waltonchain and VeChain are built to support intelligent infrastructure, secure data transfer, smart supply chain and intelligent Internet of Things (IoT). In parallel, experts estimate IoT–a network of physical objects or things embedded in electronics, software, sensors and network connectivity, enabling these objects to collect and exchange data–will consist of almost 50 billion objects by 2020. At the cross-section of these two fledgling technologies are some extremely interesting opportunities. While most people associate blockchain with bitcoin, blockchain refers to the technology underlying the cryptocurrency, and it has many other applications. At its foundation, a blockchain is a mechanism to provide trust between parties in a digital environment where trust doesn’t exist. How does this work? In essence, a blockchain is just a database of facts that are shared across a network of computers in the form of data. Every time a new fact is proven to be true and is added to the database, it simultaneously checks and validates all the previous facts that exist in the database. To prove a new fact, consensus algorithms drive global agreement across all computers in the network. These consensus algorithms can be considered the ‘gatekeepers’ of new information. Ultimately, they decide fact versus fiction, and they operate by incentivizing good behaviour in the network. What’s more, since these facts exist simultaneously in millions of places at once and are constantly being validated, they’re very difficult to alter. In short, on a blockchain, the data is immutable, difficult to tamper with, transparent and accessible to all trusted participants in the network. This fosters trust and accountability in the digital world. Blockchain provides the ability to track and immutably record information related to the movement of goods across every node in a supply chain. From receiving raw goods to manufacturing milestones and inventory movements, each granular activity can be time-stamped, validated and permanently stored in the decentralized ledger. Thus, blockchain lets an organization see into its supply chain in real time at the most granular level. The data associated with an asset can be viewed and traced all through the chain, back to its origins. Blockchain-enabled supply chains are no longer just theory. A well-known mining company has been piloting a blockchain platform to track gems from the moment they’re dug from the ground to guarantee authenticity and make sure they aren’t from conflict zones. Another prominent case is when Walmart began working with IBM in 2016 to implement a blockchain solution to trace the origin of the produce sold in its stores in response to food safety scares, such as E. coli outbreaks. While the food industry may be far removed from the military, it provides a clear illustration of the power of this technology. It used to take Walmart six days to track where its lettuce came from; now it takes the company two seconds. For the defence sector, decentralized ledgers offer a solution that can establish the provenance of every circuit board, processor and software component throughout the product’s entire life cycle. An immutable record establishing the identity and place of origin of components and assets can be written to a new transaction block upon creation, confirmed by all nodes on the network and securely stored in a decentralized ledger. The example provided at the beginning of this article shows how knowing the exact provenance of products can help address issues of counterfeit and pirated goods. Tracing a faulty or counterfeit component back to the vendor, and having immutable proof that this vendor is responsible for sourcing it, is just the beginning. In a more advanced, integrated and fully interoperable blockchain-based supply chain system in the future, this vendor could be given an immutable reputation associated with such behaviour and, using dynamic smart contracts, could be financially liable for these counterfeit parts. Establishing provenance ’from cradle to grave’ also counters the threat of vulnerabilities in off-the-shelf products that could be exploited by adversaries. This technology offers other advantages as well. Because control or verification is executed by consensus rather than a central body, from a security standpoint, there’s no single point of failure or vulnerability. Blockchain’s system of tracking and verification can also provide more opportunity for small companies to compete for military contracts without watering down oversight. In the supply chain of tomorrow, establishing the origin and traceable ownership of all assets and components through their entire life cycle will be standard practice for high-value assets. Combined with IoT sensors, this real-time supply tracking also promotes enhanced life-cycle management by offering predictive and preventive maintenance capabilities. Currently, maintenance is based on a generalized schedule by asset type and is often reactive. What’s more, a specific asset’s history is not usually considered when planning maintenance and servicing. This methodology leads to frequent asset breakdowns and unplanned service events, translating into higher overall maintenance costs. Ideally, an organization would want to be able to predict when particular components might fail and proactively replace them before this happens. Decentralized ledgers offer a solution that can track the history and maintenance life cycle of each component within the assembly of an asset and provide full transparency into maintenance records of each component of each asset. Data is collected at every stage of the asset’s life cycle, including repairs and servicing, hardware/software updates and failure events. In addition, IoT sensors can capture data on usage, performance and environmental conditions. The result is a fully transparent audit trail of maintenance and usage data. Combined with deep learning algorithms and predictive analytics, this data provides the ability to track components that are failing or have a high probability of failing, identify statistical trends and locate assets so they can be proactively repaired before any downtime or additional maintenance is required. Blockchain does have its limitations. The scalability of a blockchain is limited by the trade-off between transaction volume and processing time. Operating costs are high and unpredictable, tending to increase with block size and transaction type. And there’s the issue of sustainability: blockchains can be extremely energy intensive. For example, bitcoin mining operations today consume almost the same amount of energy per year as the country of Austria. But new models are being developed to make distributed ledger system technologies faster, less costly and more sustainable. Instead of a chain of blocks, next-generation technologies are using different types of data structures, such as directed acyclic graphs, to increase scalability and alleviate transactional bottlenecks. Yet there are some factors to consider when implementing decentralized ledger technologies as part of a supply chain solution. One of the biggest challenges is data standardization and scope–how to get suppliers on board and speaking the same language. For end-to-end tracking and traceability, all suppliers need to be on the blockchain. How do you get all vendors to contribute their data or value to the ecosystem in a standardized way? In addition, vendors still have to be validated according to standardized controls or security protocols before being boarded as a trusted supplier. It’s also essential to ensure interoperability between different systems. For example, if you order a piece of equipment from a vendor operating on a different blockchain, you want to be able to connect your supply chain to theirs, to plug in and have visibility into all supply chain nodes so you can track and trace the equipment being shipped. This leads to a second challenge: user adoption. The strength of computing power and security of a blockchain is proportional to the number of participants in the network. What incentives can you provide, financial or otherwise, to get all suppliers on board and make sure they act honestly within the system, inputting all their data and being 100 per cent transparent? How can you make it in their best interest by creating a win-win situation? Meanwhile, all these technologies are evolving within a very new and uncertain regulatory environment. Regulation, yet to be formalized, may impact numerous areas within a blockchain, including smart contracts, stored information, access and ownership. How governments deal with cross-border digital data under new trade agreements and new international reporting requirements could also have ramifications. Given these challenges, how can government defence departments capitalize on decentralized ledger technology growth to improve their asset supply chain tracking and preventive maintenance? Defence departments will need to think carefully about their digital strategy and take action to advance their IoT and decentralized ledger capabilities by investing in proofs of concept (POCs). Organizations can start with a feasibility assessment to identify problem areas within their current supply chain. This exercise may help the organization identify a group or cluster of assets that it’s having difficulty tracking or where maintenance and repair costs are disproportionately high to serve as a focus for developing and applying a POC. Developing a POC generally involves three steps: preparing materials for design-thinking sessions, holding design-thinking sessions, and documenting use cases highlighted in these sessions. A design-thinking approach begins with intensive, multi-day collaborative sessions to perform a market/competitive scan and identify opportunities. All stakeholders are involved, bringing together business, technology and the human experience. 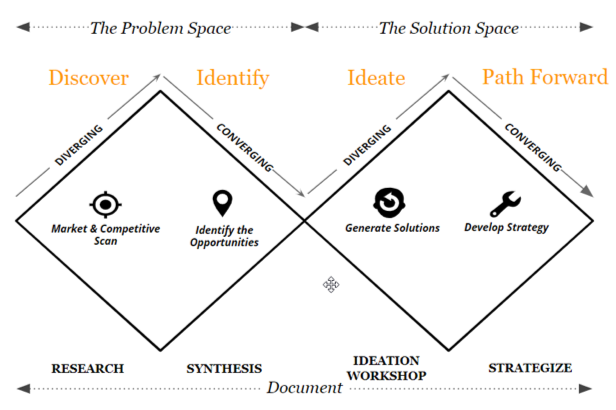 After defining the problem space, ideas and potential solutions are generated. Various frameworks can then be used to assess these solutions according to criteria, such as feasibility, costs and benefits, in the short and long term. Finally, a strategy is developed. The result is two or three POCs that align with the company’s strategic initiatives and can be applied easily, quickly and with high impact. The path forward is set out in concrete steps. The PwC network has already been involved in several POCs to integrate blockchain technology into supply chains. PwC Australia, the Australian Chamber of Commerce and Industry, and the Port of Brisbane have collaborated to develop a Trade Community System to link supply chain information using blockchain technology. The system looks to solve issues associated with increasing trade volumes, transparency of goods, process inefficiencies and other pain points. PwC Australia is also working on a blockchain supply strategy for a major supermarket chain. The supermarket wanted to explore the use of blockchain to track the provenance of its products to make sure goods meet its standards. An agile approach was used to develop priority areas of investigation. The first phase of this project will focus on the key requirements and development of a roadmap that will see functionality rolled out through a series of iterations. Meanwhile, PwC China is developing Air Trace, its own solution to guarantee the integrity of products. With support from its Solution Delivery Center, PwC China used blockchain, smart tagging and IoT to build and commercialize a meta platform encompassing tag-and-trace solutions, smart products, an information management system and a digital commercial platform. A full working prototype has been built and tested with customers like Li & Fung and Alibaba, and the core team is currently building a minimum viable product. Globally, projects to integrate blockchain into military supply chains are already underway. In its 2016 Innovation Challenge, the NATO Communications and Information Agency invited innovators to propose solutions on the application of blockchain technology to military logistics and to procurement and finance. In 2017, Lockheed Martin announced it was adopting blockchain as part of its security approach. Using the Guardtime Federal Core blockchain infrastructure, the U.S. defence contractor plans to realize more efficient and secure software development and supply chain risk management. SAP, a market leader in enterprise application software, has also been working with Guardtime to create a supply chain POC for its defence customer base. In a blog post, SAP stated this will be the first supply chain track-and-trace application for the defence vertical powered by blockchain technology. For supply chain management, blockchain offers the benefits of end-to-end traceability and immutability of data. Detailed maintenance and usage information can be linked to each component, allowing for preventive maintenance and full life-cycle management of the asset, while IoT sensors can provide real-time data. Gaining visibility of the data associated with all the assets in an organization’s supply chain can lead to untapped insights and the ability to make strategic decisions based on analytics. This being said, blockchain is not a catch-all solution. Organizations should examine their value chain to determine the pressure points. Where is there a lack of trust? Are there places where cost savings can be achieved by cutting out the middleman or digitizing trust? Ultimately, defence organizations will need to assess their processes and pain points to determine whether a blockchain solution can strengthen their supply chain. 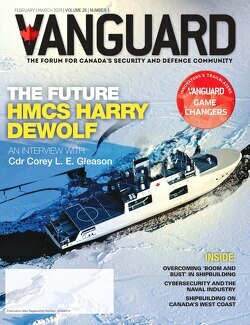 Jeffrey D. Rodney is a Managing Director in Consulting & Deals, Government Defence and Public Security, at PwC Canada. Noah Zuckerman is a Senior Associate in Consulting & Deals at PwC Canada.